Centralize thousands of logs from network devices, applications, and systems for threat monitoring. 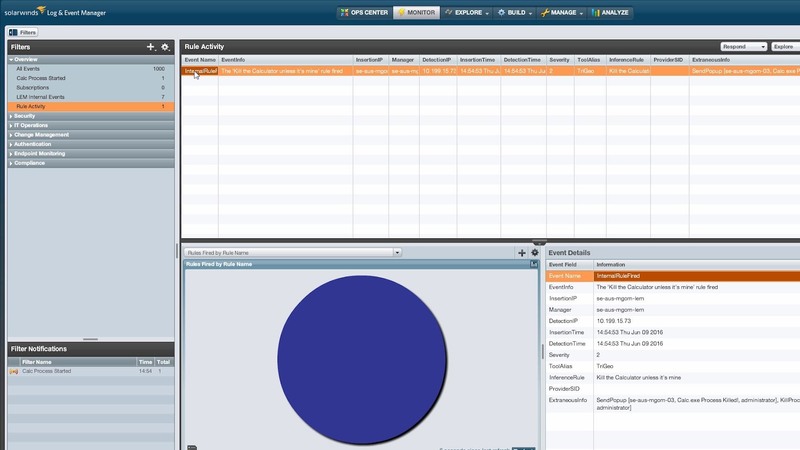 Detect suspicious network, user, or application activity with real-time event correlations. Monitor erroneous or unauthorized configuration changes on network devices, and restore them easily. SolarWinds Log & Event Manager helps you centralize log collection and analysis of events from network devices, systems, databases, and applications. This helps in meeting the continuous increase in regulatory norms for companies to ensure the confidentiality, integrity, and availability of vital information assets. Log & Event Manager quickly discovers SOX violations with built-in reports that can be customized to meet specific business requirements. Log & Event Manager collects log data from various machines, performs real-time log normalization and correlation, and presents data in a very easy-to-understand format. It also provides the electronic audit trail required by SOX by collecting and monitoring activities across your network, databases, and applications, as well as user activities. 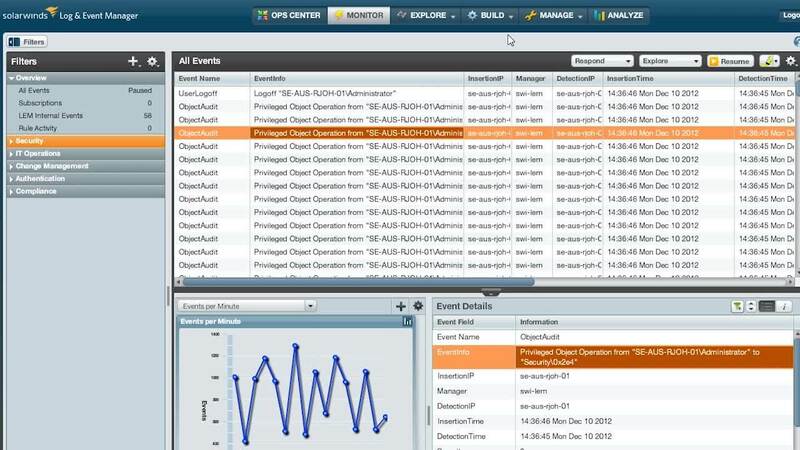 With advanced search functionality, Log & Event Manager enables you to perform forensic analysis on events and achieve more effective log monitoring. There are 700 built-in rules, many of which are specific to IT SOX compliance. With SolarWinds Network Configuration Manager, you can easily manage device configurations of thousands of routers, switches, and firewalls. Network Configuration Manager helps you know who changed what and on which specific line in the device configuration, with change alerting and config compare facilities. All unauthorized or inadvertent config changes are made visible in real-time, helping you meet SOX requirements from a network management perspective. Quickly recover from failures by restoring a known good configuration, which helps prevent business downtime and security breaches. What are your SOX compliance requirements? Our product engineers are on call to help you make the right choice. Call 866.530.8100. Unmonitored and non-centralized logs create a blindspot, making it difficult to see security incidents in the network. Without 24/7 continuous monitoring and real-time alerting, suspicious access to sensitive business information may go unnoticed. Human error and unauthorized changes to critical network devices can compromise security and increase the chances of a cyberattack.